As Carnival Cruise Line continues to expand its itinerary offerings, the company today announced that it will offer three special longer length Carnival Journeys cruises in 2019. The voyages include a unique 24-day trans-Pacific crossing aboard Carnival Splendor from Long Beach to Singapore, as well as two voyages aboard Carnival Miracle – a 13-day Panama Canal transit from Tampa to Long Beach and a 14-day Hawaii cruise round-trip from Long Beach. 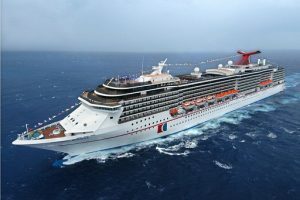 The 24-day voyage is the longest single departure in Carnival Cruise Line’s history and marks the first time that the line will visit Guam, Vietnam and Malaysia on a North American departure. “We’re delighted to expand upon our itinerary choices with these three exciting Carnival Journeys, including an unforgettable 24-day voyage trans-Pacific transit featuring our first-ever calls to spectacular ports in the Far East,” said Christine Duffy, president of Carnival Cruise Line. The 3,012-passenger Carnival Splendor will operate an unprecedented 24-day trans-Pacific crossing that will depart Long Beach, Calif., on Oct. 5 and arrive in Singapore Oct. 30, 2019. The voyage will feature extended port calls at Maui and Honolulu, Hawaii, before crossing the International Date Line, then visit Guam, and Kota Kinabalu, Malaysia and Ho Chi Minh City, Vietnam – the first time the line has visited these destinations on a ship departing from North America. On this fantastic seagoing adventure guests can visit ancient temples and other centuries-old landmarks and attractions and immerse themselves in Far East culture. The 24-day voyage will also offer a traditional ceremony held when mariners cross the International Date Line which essentially adds an extra day to the cruise. Carnival Miracle will operate a 13-day Carnival Journeys Panama Canal transit that will depart Tampa Sept. 29 and arrive in Long Beach Oct. 12, 2019, positioning the vessel for a series of seven- and 14-day cruises from that port. The 13-day cruise will include an overnight stay in Cartagena, Colombia; prior to the Panama Canal transit followed by calls at Puerto Quetzal, Guatemala; and Cabo San Lucas, Mexico, all home to magnificent architecture and unforgettable shopping, dining and cultural experiences. Carnival Miracle will operate a 14-day Carnival Journeys cruise to Hawaii round-trip from Long Beach Oct. 19 to Nov. 2, 2019, featuring stops at four breathtaking destinations within the Aloha State – Maui, Honolulu, Kona and Hilo – along with a call at Ensenada, Mexico. On this cruise, guests can enjoy world-class beaches, savor local cuisine, explore the lush Hawaiian countryside and get an “up close and personal look” at colorful Polynesian culture. The ship will also offer a series of seven-day Mexican Riviera cruises from Long Beach beginning Oct. 12, 2019. The week-long voyages visit Puerto Vallarta, Mazatlan and Cabo San Lucas, all home to gorgeous white-sand beaches, excellent snorkeling and a variety of water sports.